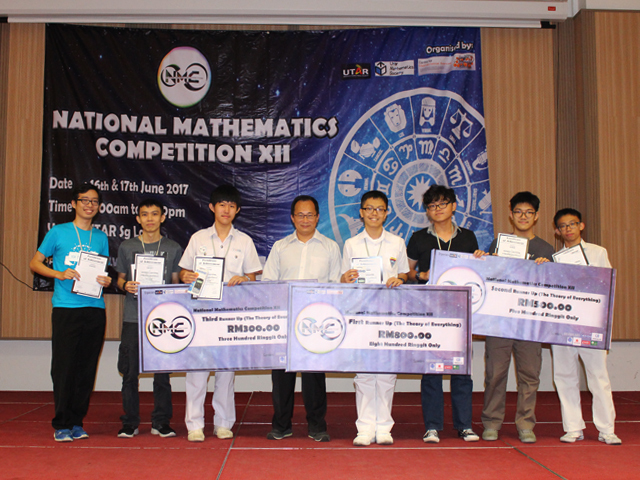 The 12th National Mathematics Competition (NMC) was held at Sungai Long Campus on 17 June 2017. Present at the event were Vice President for Student Development and Alumni Relations Prof Dr Choong Chee Keong, Lee Kong Chian Faculty of Engineering and Science (LKC FES) Dean Prof Ir Dr Goi Bok Min, Chairperson of the Centre for Mathematical Sciences Dr Goh Yong Kheng, sponsors, participants, staff and students. The objective of NMC is to cultivate interest in mathematics among high school, pre-university, and undergraduate students. 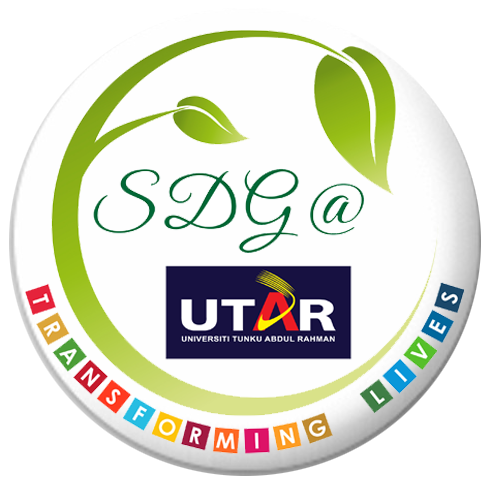 Besides, this competition offers a networking opportunity for all undergraduate students and thus fosters friendly relationship among undergraduate students from different universities. 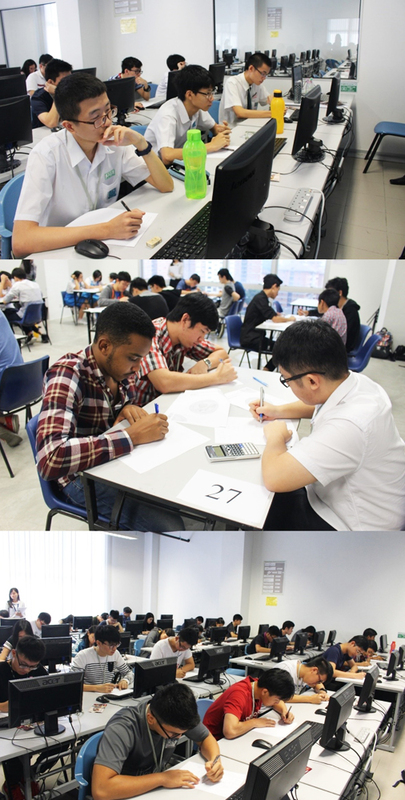 There were more than 200 participants throughout the three categories, namely category A, B and C. Category A known as the ‘Theory of Everything’ consist of mathematical questions from all aspects and need to be completed within 60 minutes. Category B ‘The Running Maths’ consist of 100 arithmetic questions related to simple mathematical operations which need to be completed within 20 minutes. Whereas, Category C ‘The Mathkeeters’ is a team competition that requires students to solve nine subjective questions within 60 minutes. The judges for the competition were Dr Goh, LKC FES Head of Programme for Master of Mathematics Dr Wong Voon Hee, Dr Qua Kiat Tat, LKC FES lecturers Chew Chun Yong, Kuang Kee Seng, Choo Ley Ya, Koay Hang Leen and LKC FES tutors Dennis Ng Wen Wei and Chin Ching Herny. 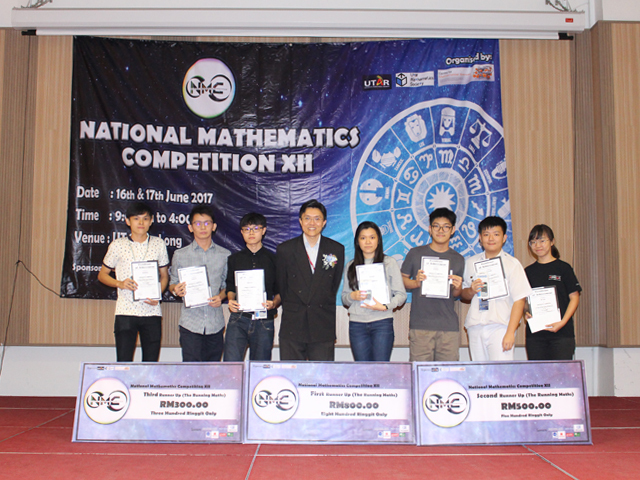 “I believe that this competition will be a step forward towards dismantling the negative perception of mathematics and encourage students to harness their understanding and talents for a better acceptance of Maths which is the core base of STEM education,” said NMC Chairperson Len Yue Yang. 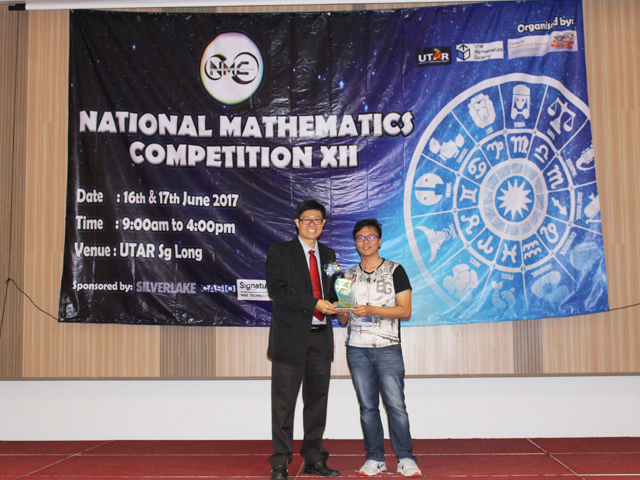 “I am glad to participate in the UTAR’s 12th NMC and the previous ones as it is a quality competition that stretches the mind and mathematical skills. 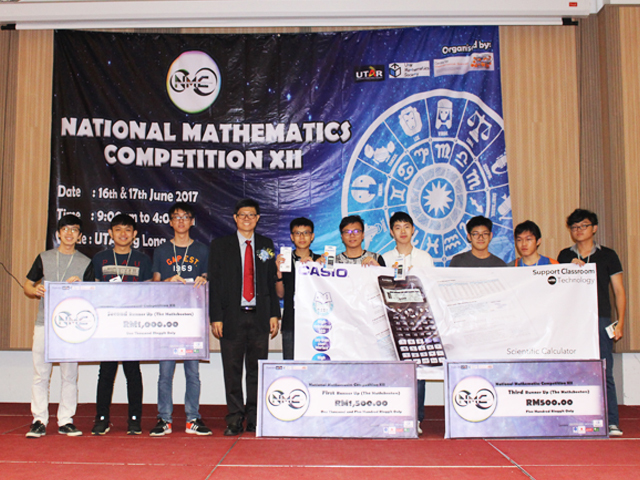 This can be considered as a national level competition and I am proud to win the Ironmath Award,” said Tan Kin Aun, who won the ‘Ironmath Award’ for having the highest overall score for the three categories. Participated were Asia Pacific University, Asia Pacific International School, Brickfields Asia College, California State University, Chong Hwa Independent High School Kuala Lumpur, Foon Yew High School Kulai, HELP College Kuala Lumpur, Heriot-Watt University Malaysia, International Education College, International Medical University, Kolej Matrikulasi Kedah, Kolej MDIS Malaysia, Kolej Universiti Tunku Abdul Rahman-Johor Branch Campus, Kolej Yayasan UEM, Kolej MDIS MALAYSIA, Methodist College Kuala Lumpur, Monash University Malaysia, Multimedia University, Nilai International School, Quest International University Perak, SEGi University, SM Setiabudi, SMJK Katholik PJ, SMK Taman Melati, Sunway College Subang Jaya, Sunway-TES, Sunway University, Taylor's College Sri Hartamas, Taylors College Subang Jaya, Taylor's International School Kuala Lumpur, The Alice-Smith School, UCSI University, Universiti Kebangsaan Malaysia, Universiti Sains Malaysia, University Putra Malaysia, Universiti Tunku Abdul Rahman, Vikas International School and Xiamen University Malaysia.